Archbishop Spalding took advantage of a struggling St. Paul’s squad, Wednesday in Severna Park, scoring six times in the bottom of the fifth to close out a 10-0 run rule victory over the visiting Crusaders, in MIAA A Conference baseball action. Josh Moylan smacked a triple, drove in three runs and scored one to lead the Cavalier lineup. Cory Blohm and Ethan McCormick each had two hits and an RBI, while Matthew Palumbo, Justin Pelletreau, Justin Caesar and Eric Rottman each had an RBI. Nate Vermillion tossed all five innings, recording the shutout by scattering seven hits, allowing two walks and striking out three. Spalding (11-3 overall) moved into second place in the league as it improved its conference record to 5-1. 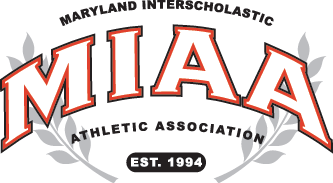 Elsewhere in the A Conference, top-ranked John Carroll blanked Mount St. Joseph, 4-0, Calvert Hall routed Archbishop Curley 8-0; Loyola edged St. Mary’s, 2-1; and Gilman thumped McDonogh, 12-2. For John Carroll, it was another outstanding start for ace Nick Collier, as he allowed just one hit in three innings. Ryan Archibald pitched the final four innings and allowed two hits. Each Patriot pitcher struck out three. Three of the Patriots runs were unearned, as the Gaels committed three errors. Archibald was the only JC player with two hits and Tyler Blittersdorf tripled and had an RBI. In addition, Nico Santoro added a double and a run scored. In Loyola’s victory, Will Glock had two hits and two RBI, including a bases load single in the bottom of the seventh inning to plate the winning run in walk-off fashion. Matt Wyatt pitched a complete game for the Dons, striking out 13 Saints and allowing just four hits. Gilman scored in all four of its at-bats and closed out McDonogh in five innings. The Greyhounds ripped 11 hits as they scored two runs in the first and second innings, three in the third and five in the fourth. The Greyhounds had home runs from Gabe Gonzales and Max Costes, while Alex Slodzinski, Michael Willis, Tyler Martinez and Jackson McCambridge doubled. Willis drove in three runs, while Slodzinski, Costes and Casey Bishop had two RBI’s each.